Isagenix IsaLean Bars - Delicious Chocolate Decadence! Isagenix IsaLean Bars £ £26.00In stock! Order now! 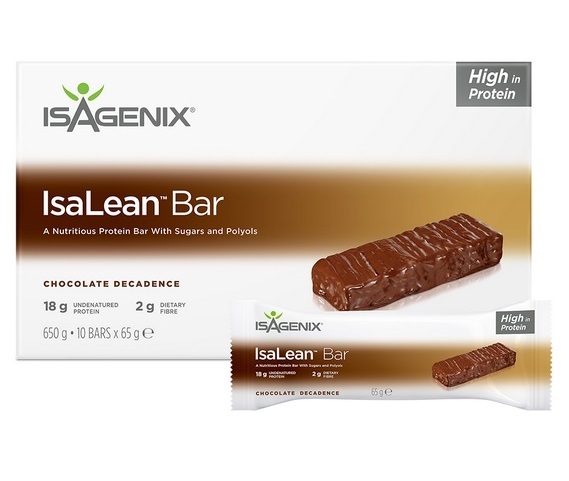 Isagenix IsaLean Bars are a terrific meal replacement or snack solution filled with nothing but delicious, premium nutrition you can enjoy anywhere at any time. With balanced, low-glycemic nutrition and an ideal ratio of premium protein and healthy carbs, these tasty bars also provide the pre-workout fuel your body needs for sustained energy and enhanced athletic performance. IsaLean Bars are one of the best dietary tools to have in your weight loss arsenal. Using these filling, energy-fueling bars as meal replacements or healthy, worry-free snacks will help you fight temptation and stay on track to reach your weight loss and fitness goals. Say goodbye to hunger pangs and hello to deliciously filling IsaLean Bars today. In addition to helping you lose weight by avoiding fatty, unhealthy snacks and foods, IsaLean Bars are incredibly convenient and easy to enjoy, even for those with the busiest of schedules. Simply unwrap an entire bar for a quick and easy meal replacement or cut a bar in half for a healthy and satiating snack to hold you over until your next shake or meal. Isalean Bars are low-glycemic, which means they help promote balanced sugar levels to give you a safe and healthy energy boost. Rather than relying on sugar, IsaLean Bars will allow your body to burn fat for fuel. Unlike other meal replacement bars, Isagenix IsaLean Bars contain nothing but superior nutrition. With premium un-denatured protein, healthy fats, and energy-boosting carbs, they’re an ideal source of fuel to help you power through workouts, enhance your weight training, and enjoy sustained performance for high-endurance activities. 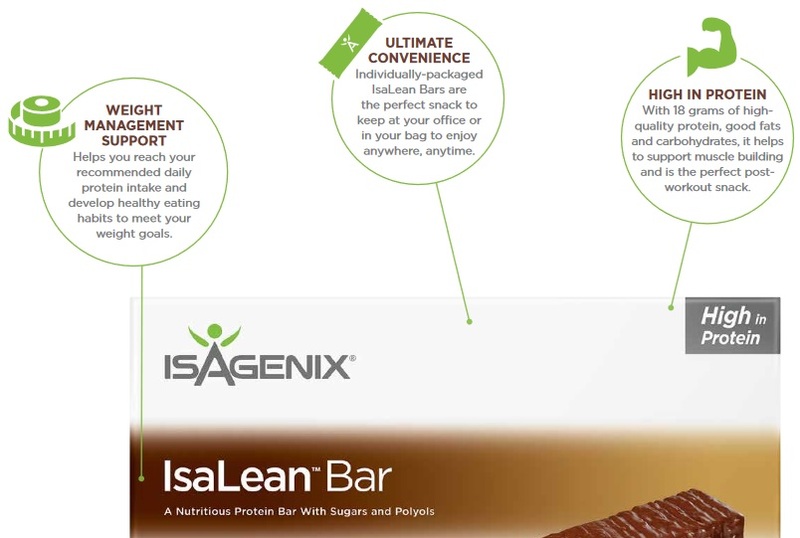 With great flavours and premium, all-natural nutrition, there’s no reason not to enhance your weight loss results and athletic performance by incorporating IsaLean Bars into your Isagenix programme today! Currently, IsaLean Bars are only available in chocolate decadence flavour in the United Kingdom. Each box of 10 bars can be purchased for £36 at full retail prices, or sign up with us (UK’s #1 distributor) and pay just £27 per box! Read Isagenix IsaLean Bars reviews from real Isagenix UK customers!